Casa Rose was founded by Rose Lyburn in 2004. 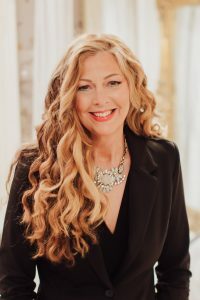 Her warm and personal approach, coupled with her deep knowledge, experience and proven track record has been gained working over 30 years in the fashion industry with top fashion brands including Chanel, Ralph Lauren & Liberty. This expertise has been applied to establish a successful, unique and much loved independent fashion boutique in Jericho Oxford and then High Street, Witney. The Casa Rose brand has evolved to become a personalised shopping experience for ladies fashion with a creative and innovative approach to fashion and personal styling. In addition, the breadth of our expertise has been broadened through interesting collaborations with industry experts from the worlds of fashion, make-up and well being to ensure an all-around extraordinary Fashion and Style Experience. Our continuing mission is to understand our customer’s needs and wants as they change and evolve. We strive to create and develop a personalised, individual shopping experience that meets these needs and desires. We are fully committed to providing an honest, personal, fun, friendly, high-quality fashion experience to all our customers with passion and care about the services we provide and how they are provided. The Casa Rose Fashion Experience provides an innovative and bespoke approach to shopping and personal styling in the Oxfordshire independent fashion market. Being distinctive, being individual, being affordable and being accessible are all core elements of the Casa Rose style and ethos. All Styling Events, Pop-Up Boutiques, Shopping Experiences and Product Lines are developed to excite, challenge and enhance our customer’s, confidence and an all-round sense of well-being. With years of expertise working with our loyal clientele, Casa Rose understands that in order to feel fabulous on the inside you must feel fabulous on the outside. With our Personal Styling Sessions, we strive to provide a signature product line that matches each client’s unique tastes and aspirations. We are able to help our customers discover different, complimentary styles and looks that enhance and capitalise on their individuality and assist them in building a personalised inspirational wardrobe. Our inspiration comes from many sources. Through visiting eclectic boutiques across Europe, to trade shows, to attending major fashion shows across the world. Casa Rose’s passion and priority is to provide our customers with style and fashion that inspires confidence. At Casa Rose, we never stand still and are always looking for new and creative ways of presenting our fashion and how we address the changing needs of our customers. We are committed to sourcing vibrant, high-quality fashion and to discover new styles, colours, fabrics and details for our exclusive clientele. Our fashion lines are sourced from France, UK, Italy, Spain and beyond, offering an original, varied and exciting choice of products. For information about upcoming Casa Rose events, to book a Style Consultation or for more details about joining the Casa Rose Fashion Club please contact Rose Lyburn either by email shop@casarosefashion.com, through our website or through Twitter, Instagram and Facebook.